It’s chilly out, and the best time of year to stock up on some new head scarves! For those with long hair, this can be a great way to combat curls being blown in your face by those crazy winter winds. Shorter-haired curlies, this is also a great way for you to keep your hair protected from damage. And for everyone, headwraps offer a super-cute look thanks to the many designs available. Check out some of my favorite places to find the hottest head scarves below! If you are more of a solid-colors woman, then Kaji’s got you! They have a full range of colors, from yellow to khaki, along with some classic patterned headscarves. This is a UK brand (international shipping available). Bright and bold? Knots UK is for you, and is another UK brand. This company specialises in African prints and a variety of fabrics. Wrap Queens is based in the U.S., and has a huge range of wraps to choose from with fun names, like "Bodak Yellow" and "Bruk Out"! You’ll be sure to find a wrap that fits your style. International shipping available. Headwraps, headbands, and chokers! You can get a full matching sets this fall from Asodara. They have half and full sizes in African prints. U.S.-based, but international shipping available. Headwraps, silk lined headwraps, bandanas, handbags, and more! U.S. based, and made in Nigeria. These wraps are very popular on the 'Gram! CeeCees Closet has a large range of bright, African-print headwraps, fit for any queen! They offer gift wrapping and ship internationally. Cute satin-lined headwraps and turbans! If you are looking for different sizes/types of headwraps, both with satin protection, head to Caheez. U.S. based with international shipping. Available via NaturallyCurly SHOP, Ruby Sampson is the home of luxurious silk lined headwraps, in a range of cute patterns. US based, with internationals shipping available. 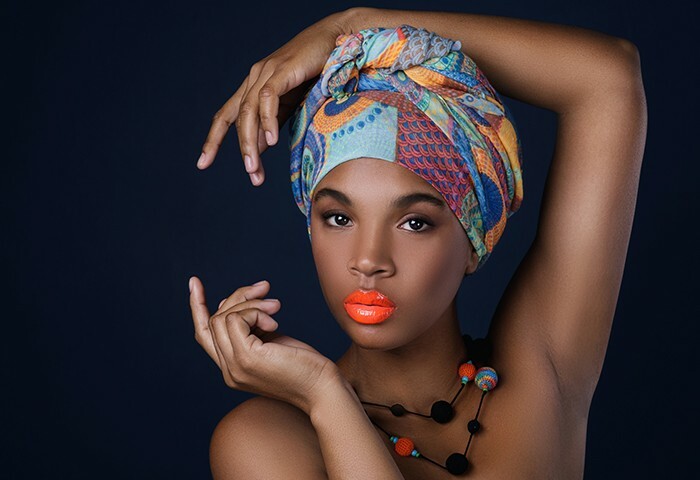 Protecting your hair doesn't have to be a nuisance; you can do it in style with some of these headwrap designs. I hope this has given you some fashion inspo! And if you know of any other places to get cute scarves, share them with us in the comments below!